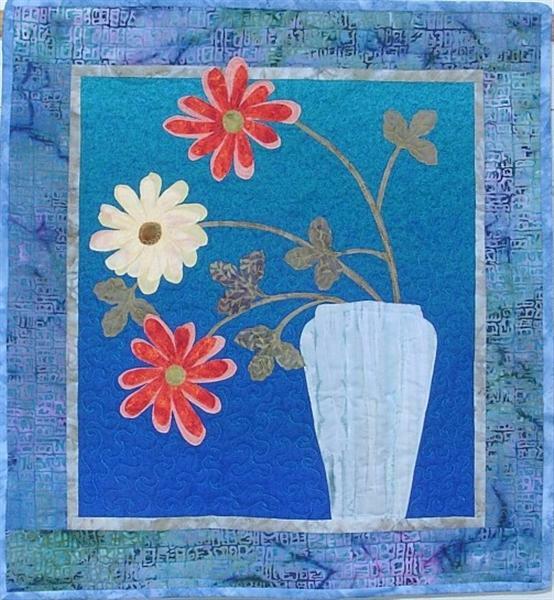 Raw edge applique, free motion quilting. 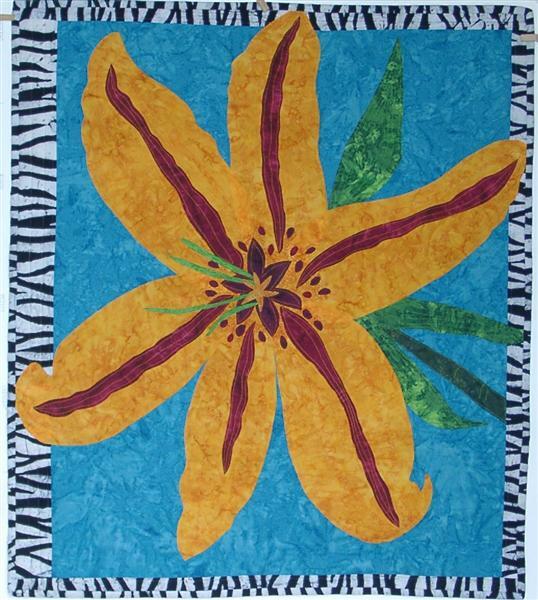 The lily is quite large, about 36 inches wide. My inspiration was a trip to Santa Fe. Approx. 48" by 52". 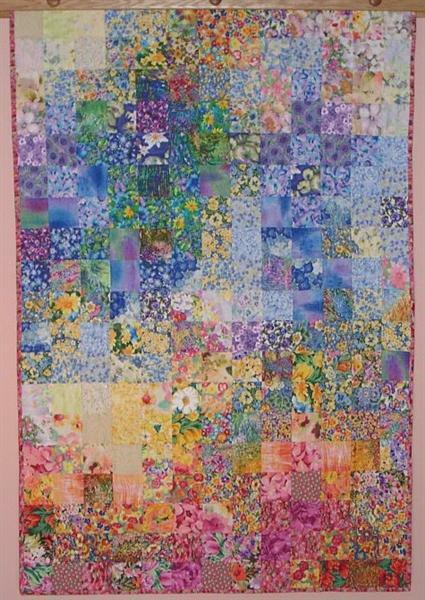 An experiment in quilting textures. 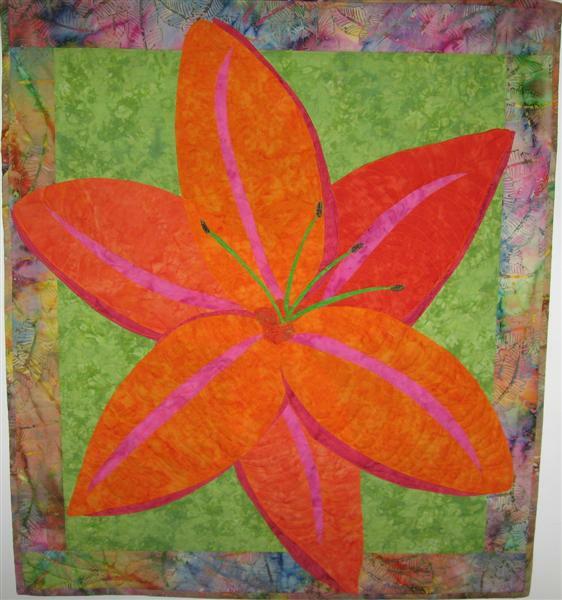 The direction of the quilting goes across the petals, instead of along the length. 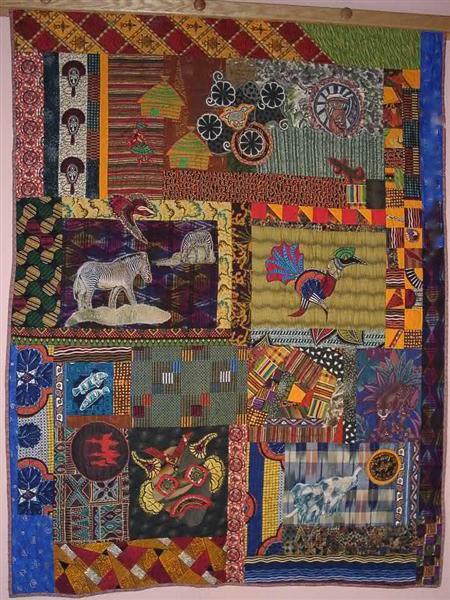 Cotton fabric, some of them from Nigeria. 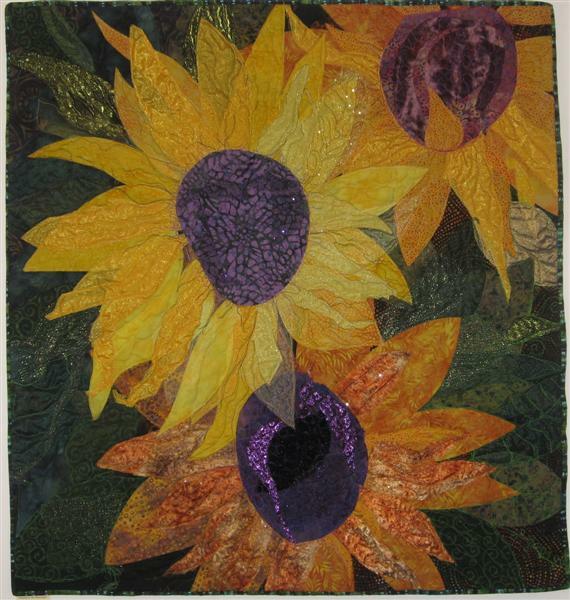 Raw edge applique, machine and hand quilted. Sequins and beads. Approx. 50" by 66"
Inspired by a Japanese fabric. Made in 2005. Size 24"x26". Intended to depict a flower garden on a sunny summer day. 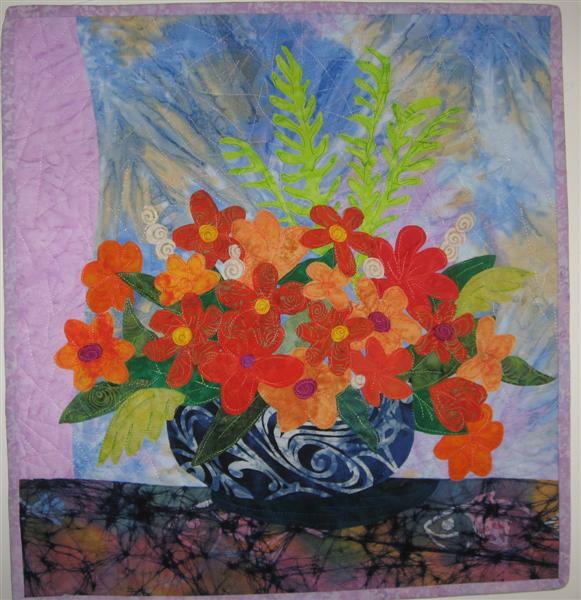 This is made of 4 1/2" squares of floral print fabric. Made in 2000. Size 48"x70". Freehand, raw edge applique. 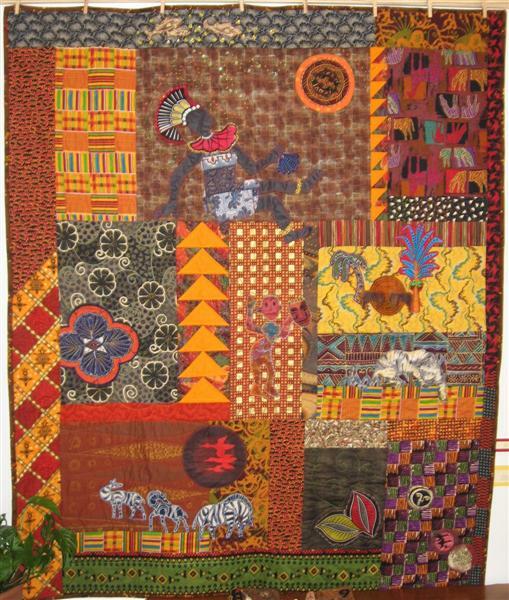 Many of the fabrics are of African origin. 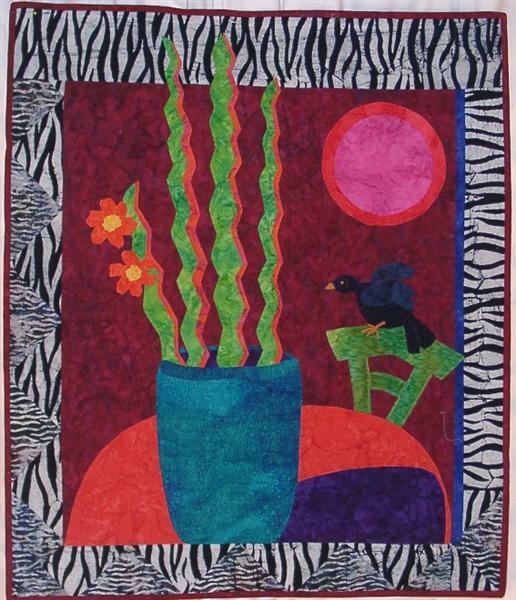 I was thinking of the political troubles in Africa and Asia while working on this quilt. One of the fabrics actually has a soldier marching peasants through a field at gunpoint. After I sewed it in, it upset me so much to see it, I put the green fence over it. Now it is behind the scenes but it is still happening. Made in 1992. 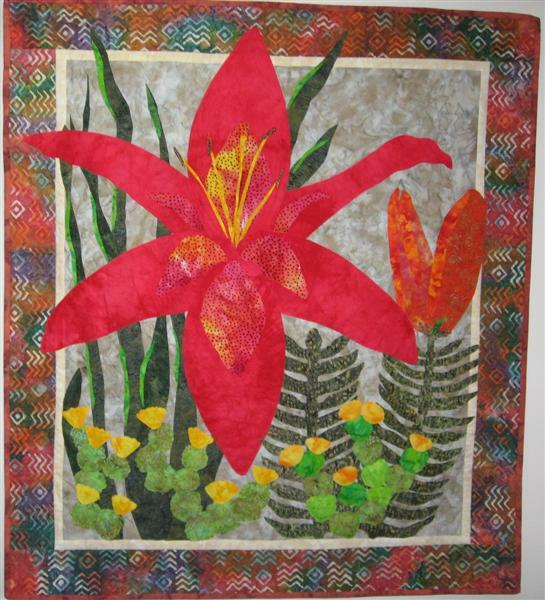 Size 57"x72". Clean lines and a simple design for a contemporary look. Fusible applique;. Made in 2005. Size 27"x32". 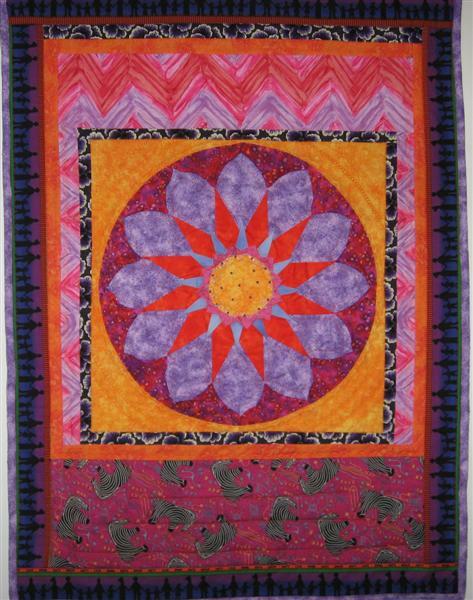 With inserted wedges tucked into the seams, and folded to form a 3 dimensional medallion. Approx. 28" by 36". Saturated with color, this is a dream scene. 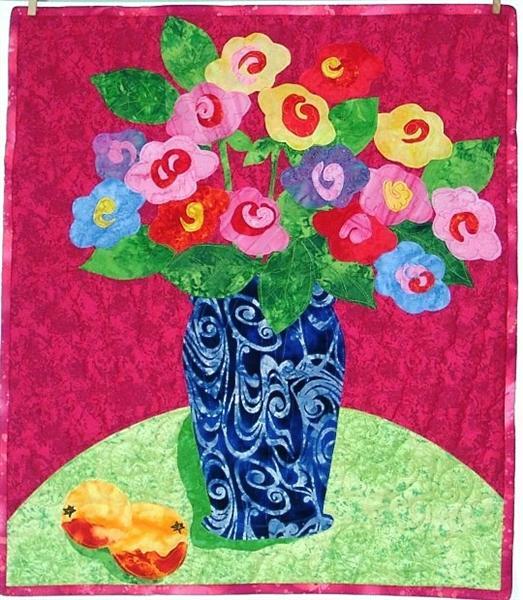 Fused applique with free motion machine quilting. Made in 2005. Size 36"x42". 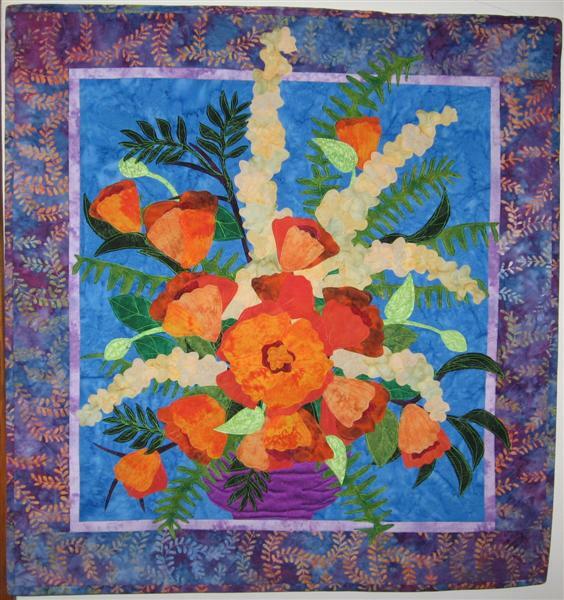 Raw edge applique, machine quilted, approx. 24"x28". 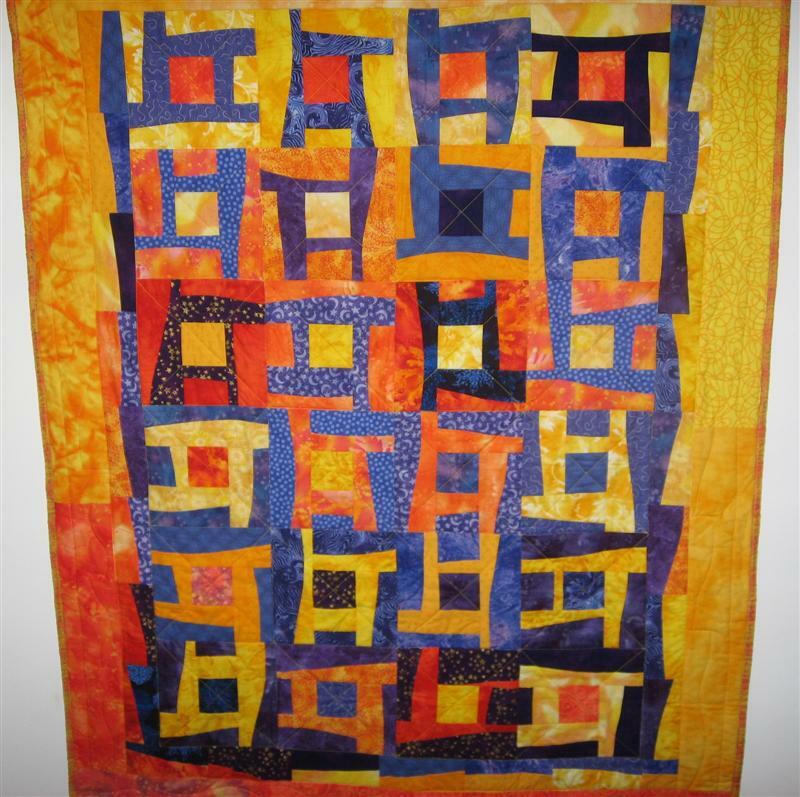 The glowing colors and contrast make this number among my favorite quilts. 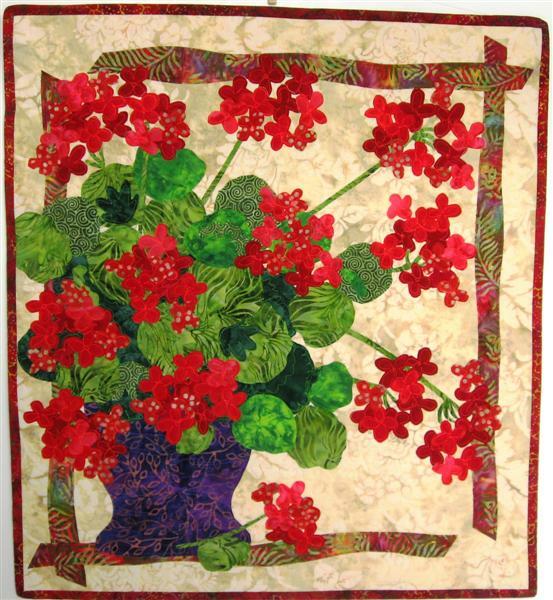 Cotton batik fabrics, machine stitched and applique. Made in 2007. Size 20"x24". 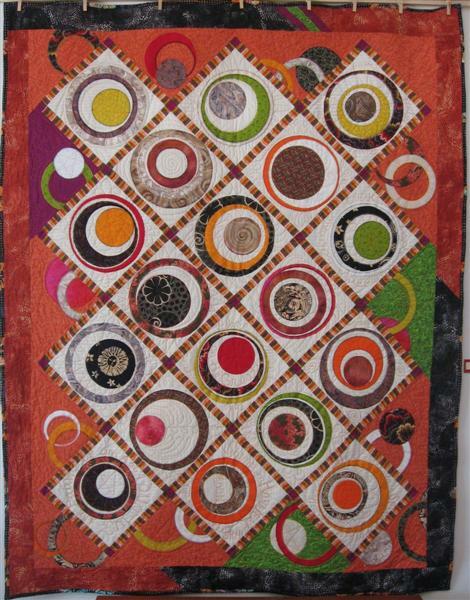 Pieced cotton fabrics, machine quilted. Made in 2008. Size 40"x52".